Sometimes writing about music seems futile. It’s a subjective experience that I find difficult to describe. To approximate this experience, I try to make connections between the music/what I know about the musician, and my personal experiences/beliefs in hopes that the reader might share similar experiences/beliefs (and thus have an understanding). However, this has been very difficult since I can’t seem to find any information about Eternal Dreamer. This album is the reason I haven’t posted anything in over a month. I’ve been paralyzed. I’ve never experienced anything like this one. This is easily one of the best tapes I’ve purchased this year. I’m sick of trying to write about something I know nothing about. Just listen and tell me what you hear. 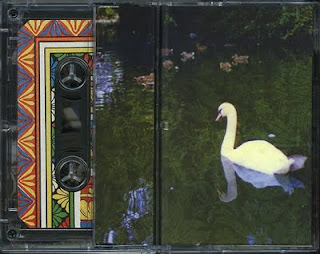 Download, but please pick up one of the last copies from Calypso Hum if you like it! Music for people who hate music.